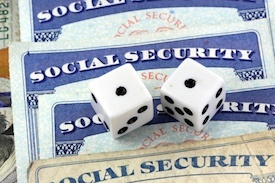 Of Maximizing Your Social Security Benefits? income taxes and your Social Security benefits, visit www.socialsecurity.gov/planners/taxes.htm. Retirement Benefits, you may be interested in this. 1) A potential optimum time to file for your benefits. 2) Filing strategies that may make sense to enhance your benefit. This no-obligation review is available to each of you, by coming to our office. see if another solution makes sense. Let’s roll up our sleeves and find the information for you!